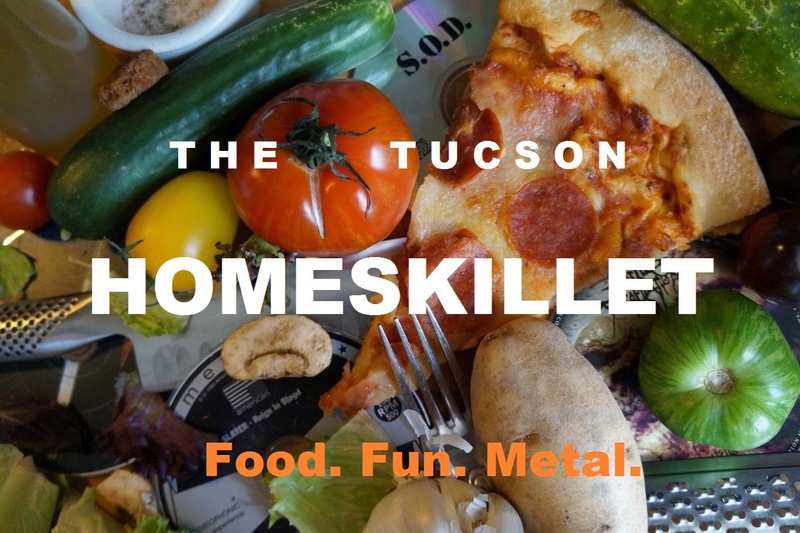 The Tucson Homeskillet: The 2016 Guide to Curing Your Hangover! Hey, this post is a few days late. New years was like almost a week ago. Sort of irrelevant now don't ya think. What gives? Um, well...what can I say? Dude, I was so hungover! You. Literally. Want. To. Die. No wait, you are dead. This can't be real. Your head. Dear god, the pulsating nail gun just wont quit. The bed is soaked in sweat. Actually, this isn't a bed. This is a hamper. You passed out in granny's towel hamper. You try to get up but can't move. 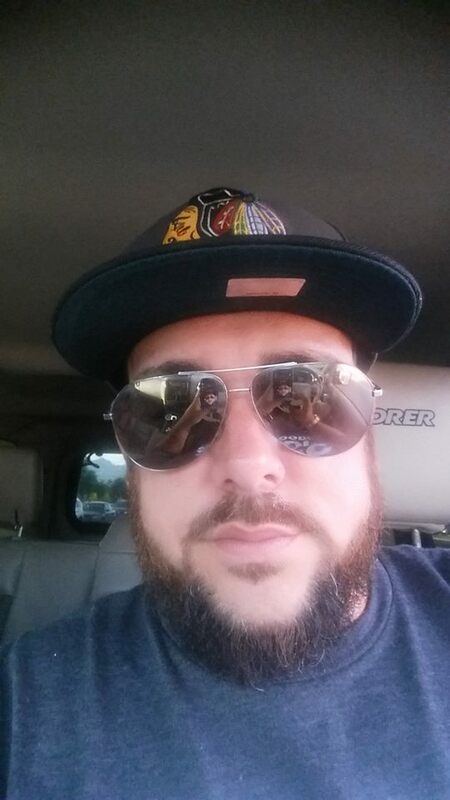 When they say "the struggle is real" they didn't mean Jim Beam and Rumple Minze shooters as a base for it. Your eyes are two dried onions that have seen too much. Hitler took a crap in your mouth. Your knees are laughing at you. 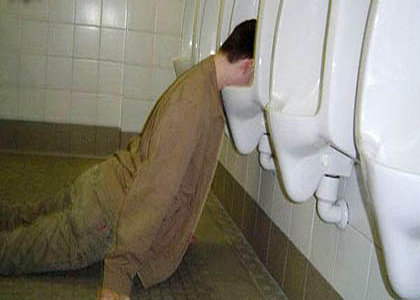 You, my friend, are really hungover. 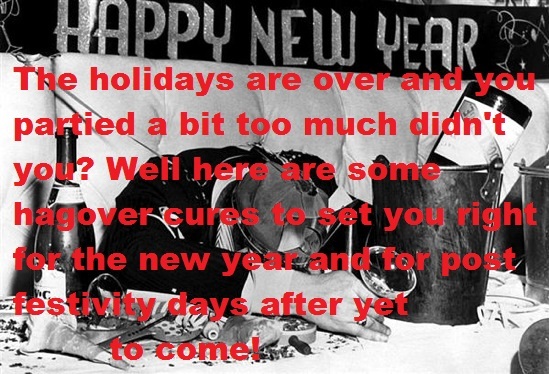 Having been there myself, oh, a "few" times, for me, the only solution to the immediate problem of trying to get human again is to soak up the alco-fuel with food. Yes, even more food. 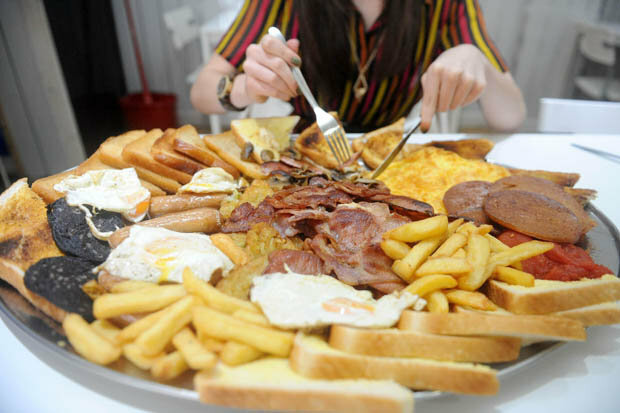 The holidays are thick with meats, cakes and meatcake, but when the suffering of ten thousand years of boozing with your cousins and high school friends takes hold, all I can even think of is a plate of greasy perfection. One time, on a holiday season trip to Tahoe with some longtime friends, the partying went so fierce that afterwards we wound up in a log cabin of a coffee shop where some of us ingested what was listed on the menu as the "Mountain Man Breakfast". This acreage of steamy redemption consisted of a full stack of pancakes, three sausage links, three thick strips of bacon, three eggs, hash browns, toast, grits, biscuits and gravy and all you can drink coffee. It was glorious. So much in fact that I slept all the way back to my tiny apartment in San Francisco until going out later that night and continuing the revelry because it was New Years eve. I was young, what do you expect? Now that the holidays have come to a slow grinding halt, the effects of excess might still be creeping in on you. When you get older, it takes longer to fix what damage you inflicted from tipping more than a few back over the most wonderful time of the year and the Tucson Homeskillet not only sympathizes but is here to help. First off, let's take a look at our favorite hangover cures from around the globe. Poutine is perfect. For a bunch of drunk people locked in snow most of the time, drizzling gravy on hand cut fries then topping it with cheese curds is simply a divine spark of next day thankfulness. Here in Tucson we have a few options to get this heavenly concoction, most notably is the food truck the Zany Beaver which the Homeskillet featured a while back and you can read, or re-read, that article HERE. 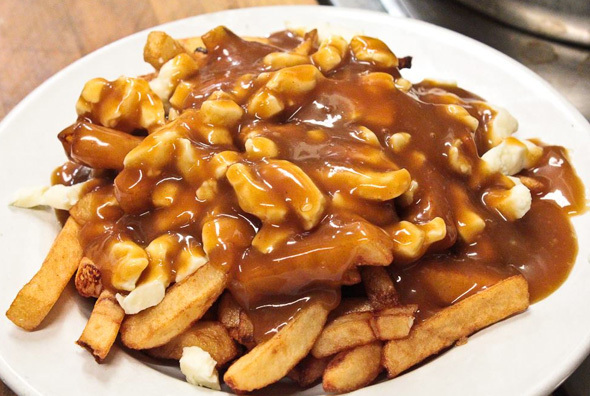 Skipping the eggs and various whatnots, poutine goes right to the source: carbs solve all the worlds problems, especially the issues going on in your rot gut sloshed belly. To help slide it all down is where the gravy comes in. And the cheese curds? Because you're welcome rest of the world. Oh Germany. Of course this is your common cure for the post prost! crusades. You gave us Rammstein, Dunkel beer and hot dogs that come in a jar and now you tell us that something called katerfruhstuck is the way to go for getting back to normal when the Killepitsch is gurgling in the system for too long? And just want is katerfruhstuck? 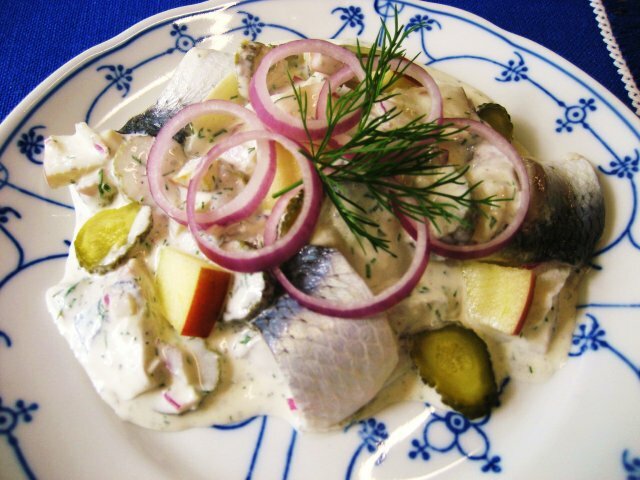 Traditionally it is raw, pickled herring that's wrapped around gherkins and onion and then topped with a creamy dill sauce. Blorp. It looks and sounds more like the stuff that comes up after much Rateputz and kraut soaked in Bitburger. I'm sure if you are used to it this might be the way to go, but here in Tucson, this dish feels more like fish bait. A good friend hipped me to this a while back after she had spent some time in Japan teaching. Okay, it was an ex-girlfriend and after an evening of sake and Asahi, she insisted that this was the cure all. She took me to a place in Japantown, ordered it up and when it arrived, to me, it looked like a bowl of feculent sheep spleens. 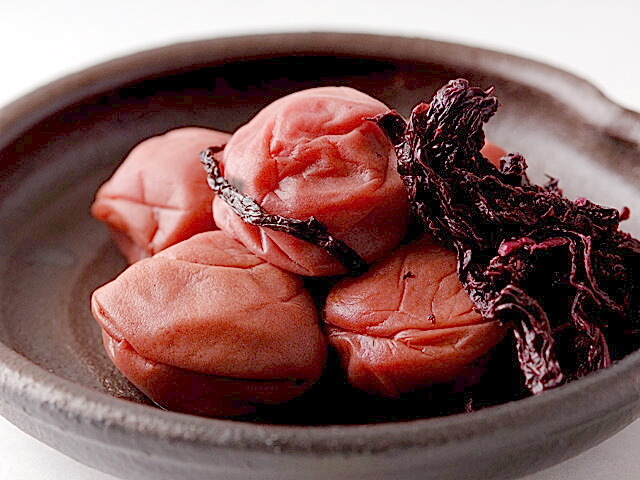 Called umeboshi, it is a bunch of dried and pickled ume, which is pretty close to an apricot or plum, sometimes called a plum blossom. Well, let me tell you, being from California, land of the breakfast burrito, those muck balls got right on top of me. Not only were they pickled, they were really really pickled. Like making pinched and pained faces while to try to decipher what's going on in your mouth pickled. I never spent any time in Japan, she did. Umeboshi hit like puckering tongue napalm and it took a large Kirin to soothe the pain. Sure, my hangover went away, only because I had to start drinking again and eat more nigiri to ease my suffering than I have in years. I'm sure this works for the locals in Tokyo but for this West Coast kid, it was like popping concentrated sour spite squirt, almost like a double dog dare you type of activity. Yeah. No. So it seems that everyone and everywhere has a sort of "go to" hangover remedy, each to their own location and palate. Some cultures swear by rice heavy dishes, others noodles, some like heavy proteins, while another relies on fresh fruits and vegetables. Knowing this, I asked a couple of my food and beverage minded friends here in Tucson what puts them back among the living when it comes to waking up after a night of hooch heavy holiday merrymaking. "Red chili pork tamales, enchilada style, with beans and two eggs over easy from Poco and Mom's. Plus a lot of Mountain Dew, black coffee and water." 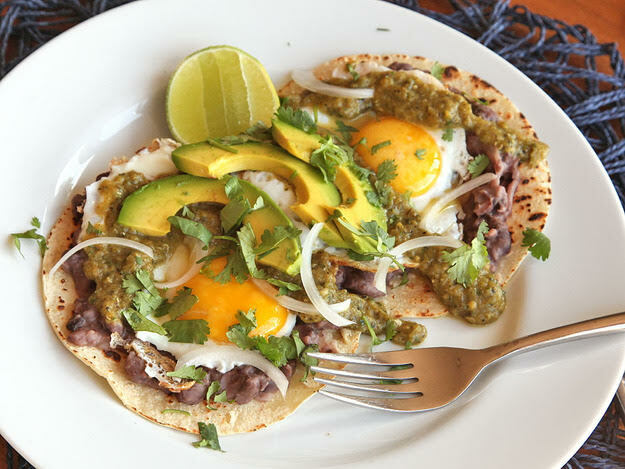 "Green chili huevos rancheros from El Indio in South Tucson. The photo to your right gives it no justice. El Indio serves their breakfast with fried potatoes and refried beans. Trust me, you wont have to eat again till dinner. But...kiss that hangover goodbye! This dish is a game changer, please go try it!" "In Philadelphia, cheesesteaks are the ultimate hangover cure. Obviously. 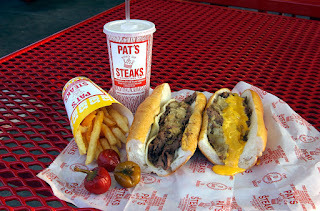 The new year is always the busiest day for Pat's, Geno's and Jim's Steaks." 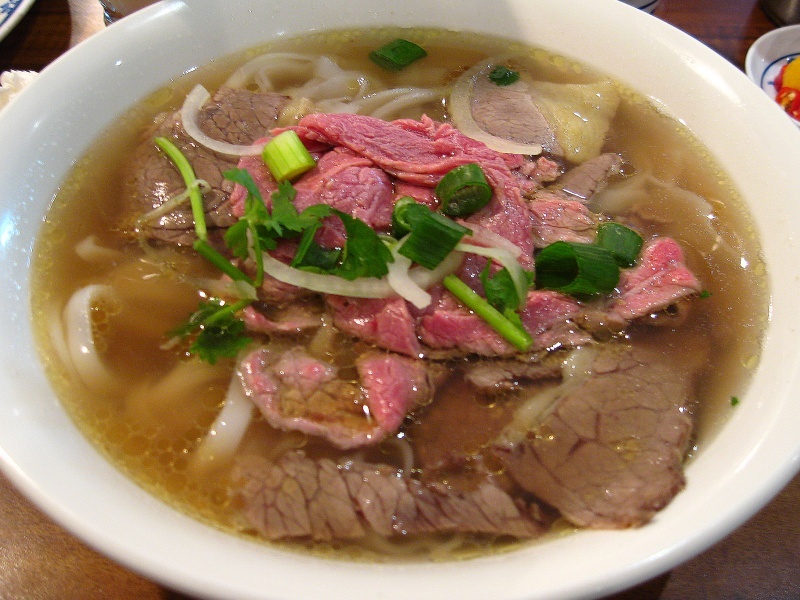 "Beef pho! Slow cooked beef in a light broth with ginger, cinnamon, carrots, onions, celery and a bunch of spices over rice noodles then topped with bean sprouts, cilantro, fish sauce, some fried onions, roasted garlic, lime...whatever you want! Slurp, slurp...hangover be gone!" "That all depends on whether it's permissible for me to be drunk the following day. If I can continue a bender, I go get a sloppy diner breakfast first--two strips of bacon, two eggs over medium, fried potatoes of some variety, preferably a biscuit and a few cups of black coffee as well--then I ease back into life with a mimosa or a daiquiri (don't knock the breakfast daiquiri 'til you've tried it). If the hangover is particularly bad, I might take a shot before breakfast just to get it going, and that you may absolutely judge me for. If I have to go back to sober life, there's nothing more restorative--be it from being actually sick or just hungover--than a bowl of pho. I like to get a bowl with a nice, hearty beef broth, fried tofu, bok choy, broccoli, mushrooms and a side of rare beef. 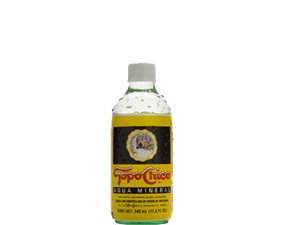 Either way, I'm probably going to be chugging Topo Chico or La Croix all day." I like how both Heather and Eddie both go for the pho. On many occasions, I too have reached out for the helping hand of that Vietnamese staple. It's got everything: the broth, the sprouts, the noodles, the beef, the veggies...it's always fixed me when things seemed their most grim on a coming down hard morning (well, afternoon). But there is one item, one story I should say, that has been with me for almost 20 years. I still dream about this dish to this day when the black sun rising of firewater envelops me in a shame casket of hedonistic depravity, and yet, I still haven't come close to it's healing powers and incredible flavor since then. There was even a bit of danger involved as well. It was the early 2000's in San Francisco. My good buddy Jose and I had just signed a lease on a large two bedroom flat in the Mission district. At the time, the Mission was, primarily, the Latino area, full of taquerias serving up their famous "Mission Style Burritos". It was also where a lot of struggling artists and musicians called home because the rent was cheaper and there was nothing but dive bars and venues nearby. Plus....those Mission Style Burritos. Well, it became apparent quite soon that when Jose and I were in constant and close proximity, the drinking commenced. It was too easy back then. Bars and liquor stores everywhere, cheap booze with plentiful and delicious cheap food on every corner. After a few months of living together, we decided that we should not sign another year's lease if that option were to arise. Because, if we did, we knew we would be dead. One morning, after a particular, um, "boisterous" evening of cavorting, cajoling and consuming of much booze-ahol, I woke up in so much pain that I nearly called in work to quit because I knew that I would never recover. Somehow I stumbled into the kitchen, drank some water, tried to find food but opening up a can of Beefaroni proved far too much of an effort. Eventually Jose woke up and looked as if he had just come back from scrawling the Sahara desert for weeks on end. I, too, only had one eye opened and was in my skivvies because, at the time, "pants hurt". "I know just what to do," Jose mumbled. "Put on some pants." Now I don't normally wear sunglasses but I put on some that day. Sure it was foggy, but it didn't matter. Apparently Jose knew about some hole in the wall joint that will fix us up and it was only a few blocks down. A few blocks? Don't you realize what condition I am in right now? A few San Francisco blocks....you might as well have me run the Iditarod, as a husky! But I man-ed up, managed some shorts, walked outside into the dreaded metropolis and followed my just as damaged friend to a place I never knew existed. A 'hole in the wall' doesn't do this place justice. Having lived in the city for a while and in this neighborhood a few months, I must have passed it by numerous times. It was a Salvadorean restaurant, tiny, just a door in the side of a building with some hand painted words in Spanish around it. When we entered, it was instantly clear that I was the only gringo there and probably have been in quite some time. In fact, a hush fell over the dark skinned men and women and all eyes fell on Jose. He said something to them and they seemed to relax a bit. It was apparent that folks of my ethnic standing weren't really the norm in this joint. "You're going to eat menudo," uttered Jose. "You know what that is right?" Of course I did. I'm from the California coast, most of my friends growing up were Mexican. It's just that, well...I was always afraid to try menudo. I mean, chicken guts and stomach lining and all that weird crap you usually don't find in a Safeway or Ralphs. Gross. But he ordered two large bowls, a side of tortillas, water and two beers. A few minutes later a very large multi-colored bowl was placed in front of me, vaporous, filled to the brim with red hued, oily broth goodness and topped with cilantro and onions. The tortillas were thicker than I was used to but they were homemade and delicious. I dove right in to the menudo. The first bite was life changing, the second even more. After about half in I could feel my entire being getting recharged and healed. It didn't matter the tripe in the mix, I licked that bowl clean and nearly cried from its cleansing effects. The spices, the peppers, the hominy, all of it somehow changing my view on what food can do for you forever. "It's good right? ", smiled Jose. I wanted to punch him in the face that bowl of menudo was so good. We sat there for a moment, letting the warmth wash over us as we finished our beers. The faces of the other patrons seemed to have softened, seeing a guy like me sitting there being baptized by soup and looking as if I wanted to dive into that ceramic bowl. 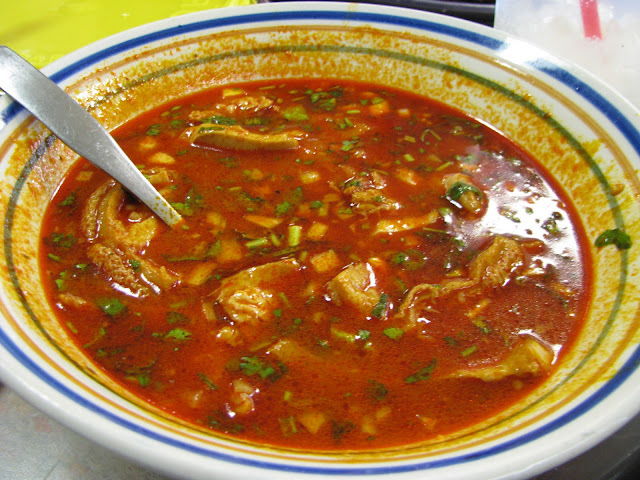 I will never forget that soup, my first real bowl of home made menudo. I will never forget that little place. I still don't know what it was called. A month later our landlord asked if we wanted to sign another year lease. I think you know the answer to that. 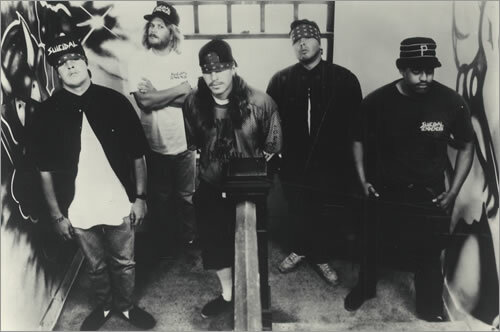 Metal Mark: "Who turned on the sun, man?" "Feel Like S--t (Deja Vu)"
Our event could not have gone more smoothly. Huge thanks to the amazing manager at venue New York for their consummate professionalism and outstanding hospitality. We look forward to many more years at this lovely place. The best hangover cure that works is so far the detoxicated and it is also approved by the doctors. So you can imagine the positive aspects of this kind of natural remedies. Recently I was attending a party and it was such a great night. I ended up drinking a lot. But after that night in the morning I just took it and I easily got rid of the hangover.